There are currently 13 users and 3673 guests online. 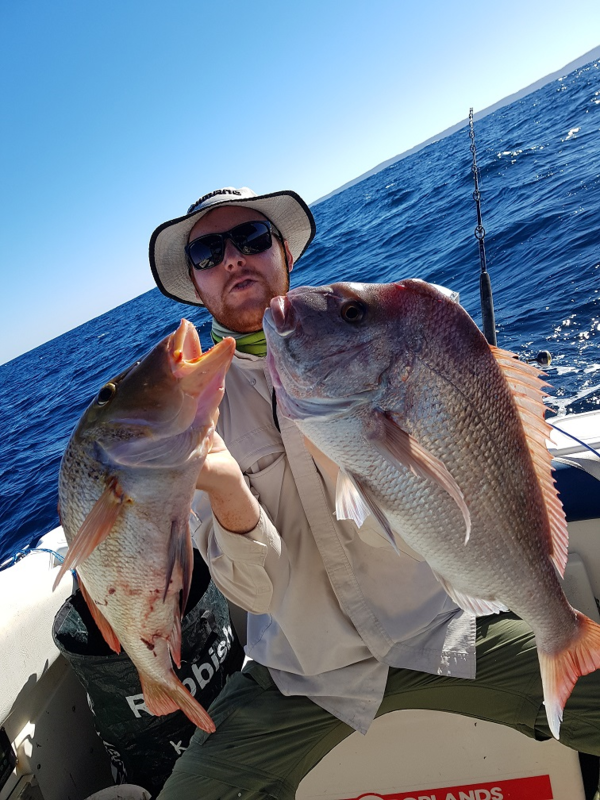 Just returned from two weeks of absolute fishing bliss within shark bay and surrounds, It was my first time heading up there for a dedicated fishing trip so was all new to me. 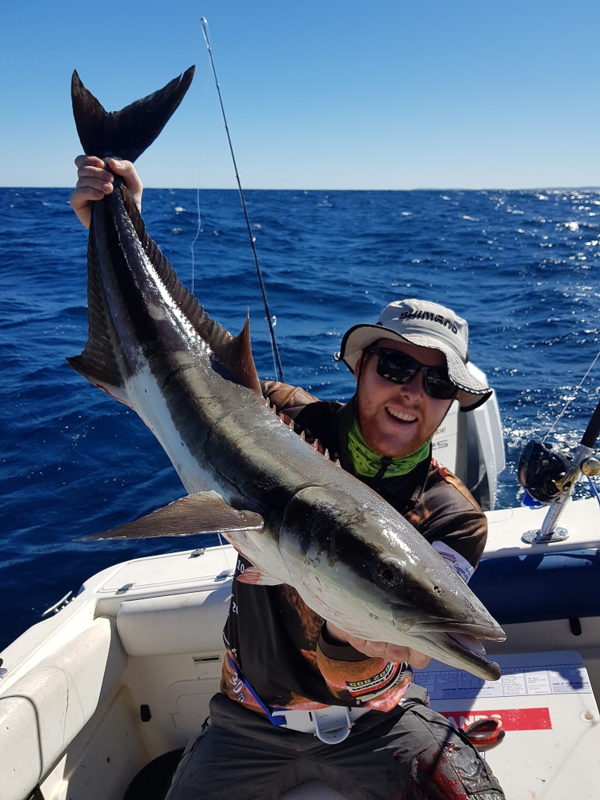 The trip was planned around the Shark bay fishing fiesta, with the first week being dedicated to scoping new ground and working out the best places to be to suit the conditions at the time. Our first day on the water, we headed straight out to steep point from Denham to scope out ground and do some trolling along the cliffs. There were plenty of birds and big bust ups on the surface, although mainly being stripped tuna - which we picked up a few for fresh bait. We saw some 10-20Kg YFT free swimming under some birds which we bombarded with Slugs and poppers but couldn’t get past the stripeys. After some sounding we stopped on some decent looking ground and picked up a feed of respectable Red-throat - Delicious. 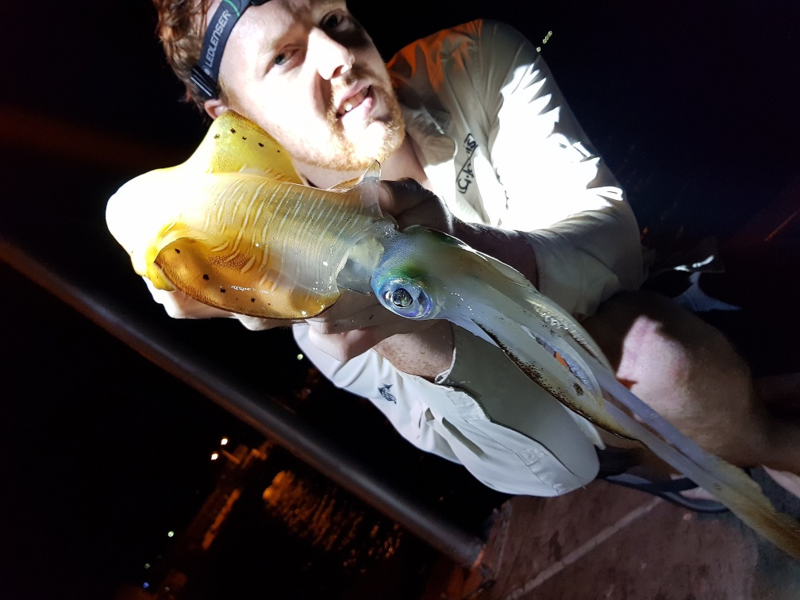 That evening we did a land based squid bash and got a decent feed of squid despite it being very windy. 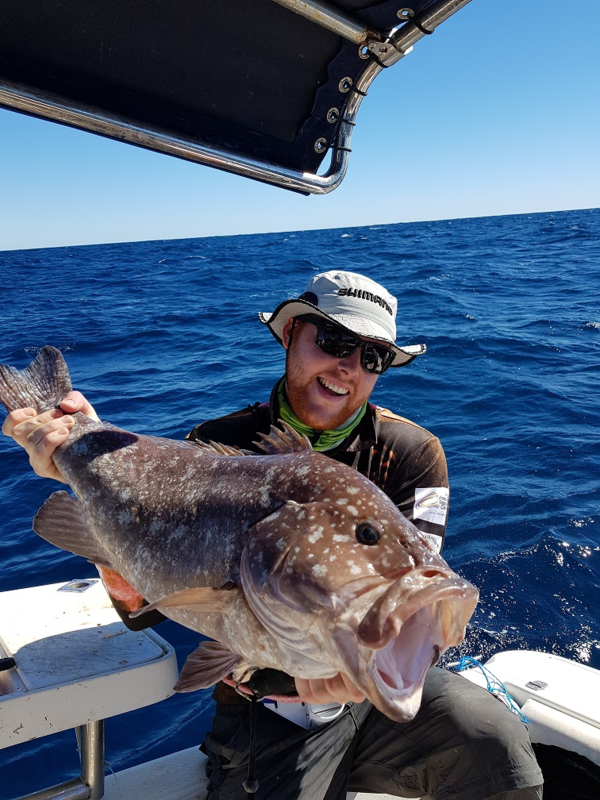 The next few days we spent inside looking for Blackies and Estuary cod, but only managed a few of-size blackies and a few small whaler sharks. Between spots we did more squiding on the weed banks and bagged out most days with squid. 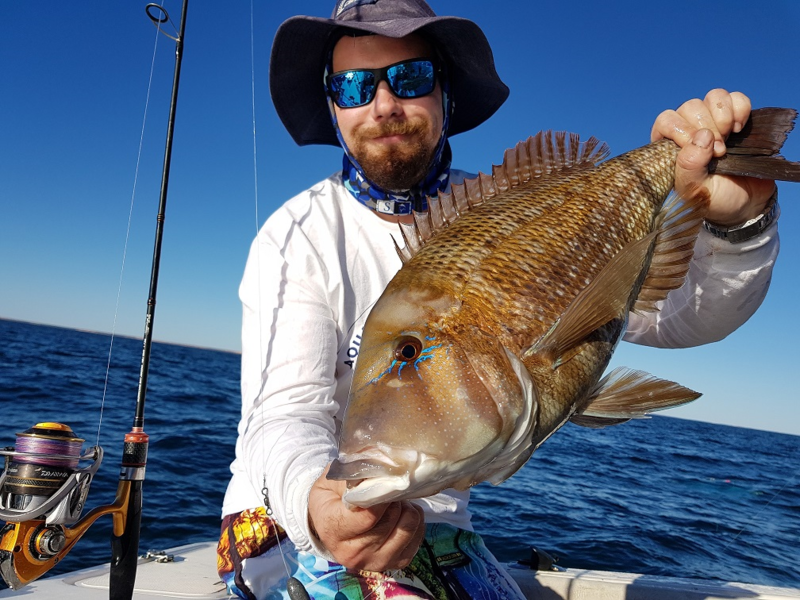 Saturday, Day one of the fishing comp we headed out early to behind Dirk hartog and Steep point to do some bottom bashing on some marks we sounded on day one. 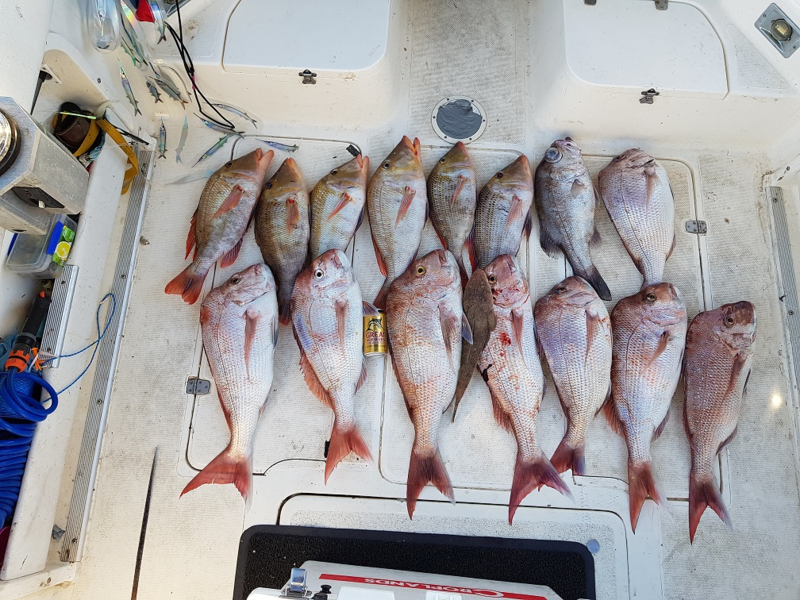 It was a slow start up until around high tide, when the bites came through thick and fast, Within a few hours we had a good mixed bag of Rankin, Reds, red-throat, cobia, and Baldchin. The Monday was a write off due to engine issues warranting us to return to the ramp. Wednesday, The best day weather wise of the whole trip, and with confidence back in the motor we gunned straight out for a final hurrah behind DH, with the wind down we could fish the lighter tackle, so I switched to plastics and jigs to test my new outfit. 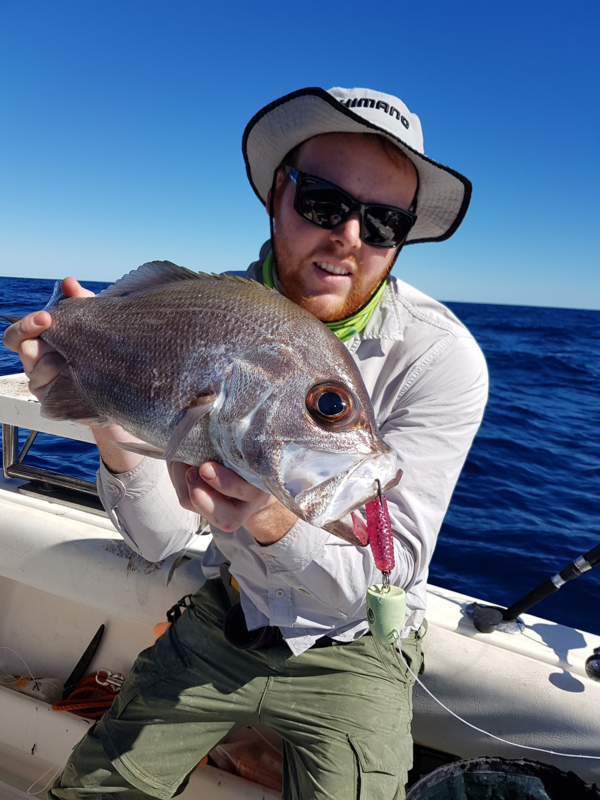 Sp's produced the goods with Red-throat and Snapper coming in thick and it didn’t take long until we had our Bag, During this Mal the skipper stuck with his electrics and hooked some absolute Unstoppables, which simply refused to leave the bottom. Massive estuary's perhaps? 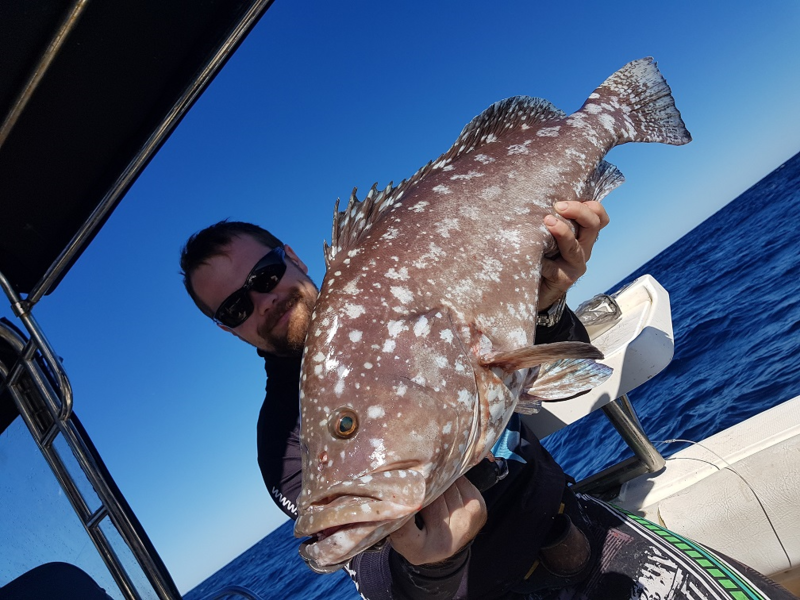 Today was the only day we had any real issues with sharks, only losing about 3 fish towards the end of the session, with us moving spots everytime we lost a fish to one. The remainder of the week was too windy to head out due to the cold front that had moved in so we cleaned the boat and attended the Festivities of the fishing comp. 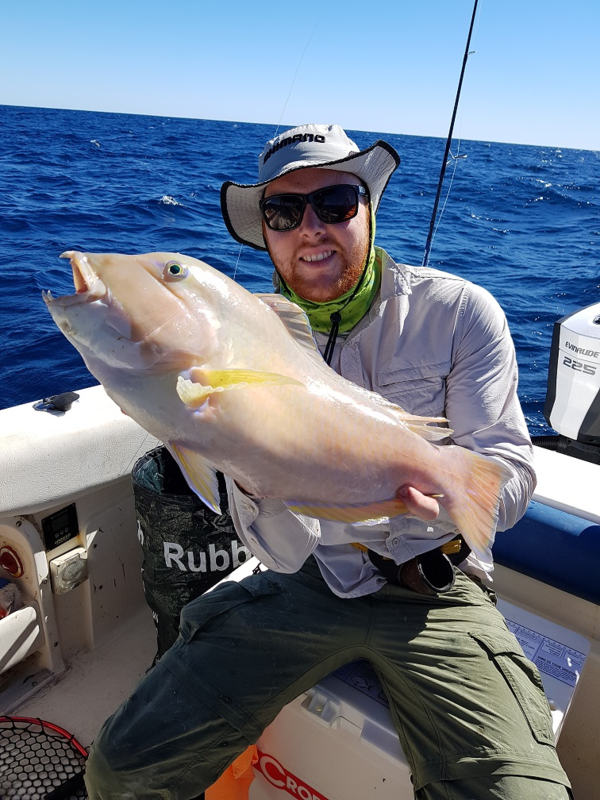 All in all it was an excellent trip with a heap of fish nailed off my Bucket list and a bonus freezer full of fillets. A massive thank-you to the shark bay fishing club and all involved who hosted an awesome comp. 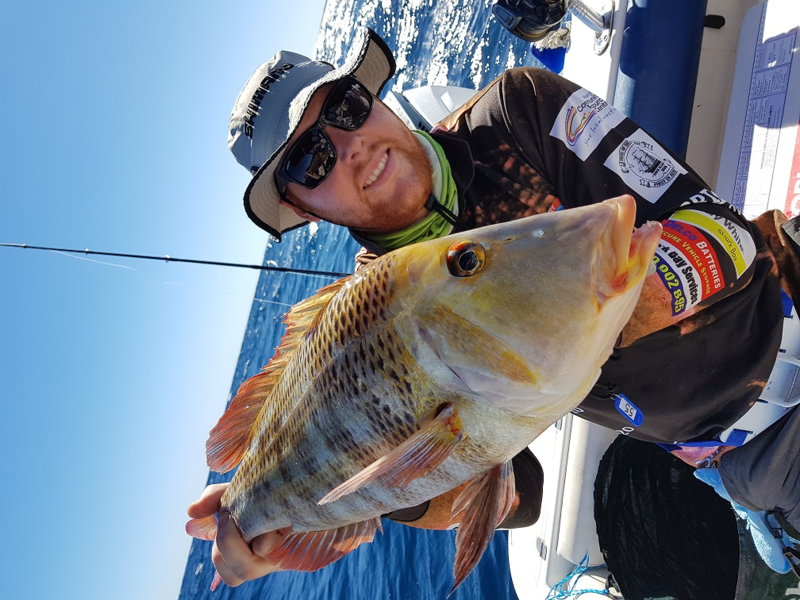 Awesome report and pics mate! What was the issue with the motor? Looks like a new E-tec! Its in the shop atm, so waiting to hear back from the skipper. Our thoughts at the time was a gutful of bad fuel, she started running rough as guts but then cleared - will have to wait and see! Those rankins are great size and if taken on reasonable gear they pull hard! Seem to love a pink 7mac carthys s.p too ! 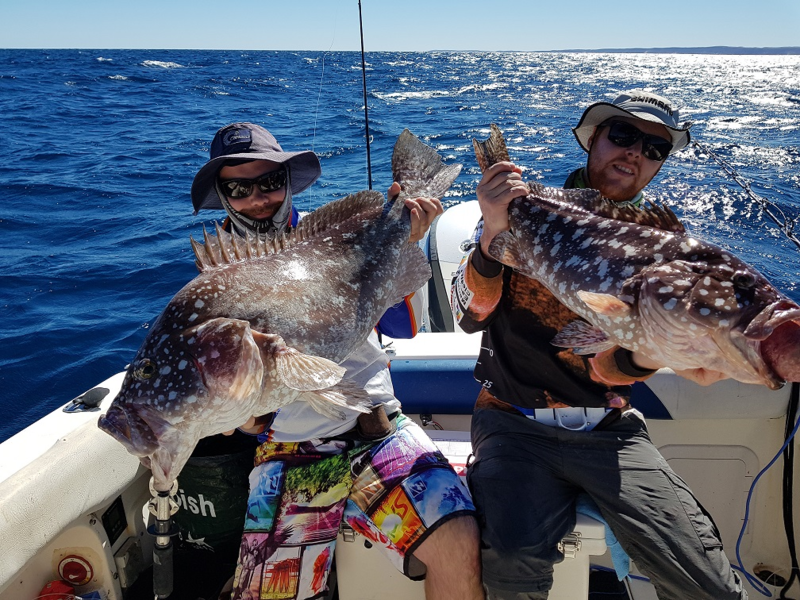 Great trip there, great fish and good write up. Bet your hanging to get back. Certainly am mate, Already planning for next year! Looks like a ripper trip, bar the outboard issue. 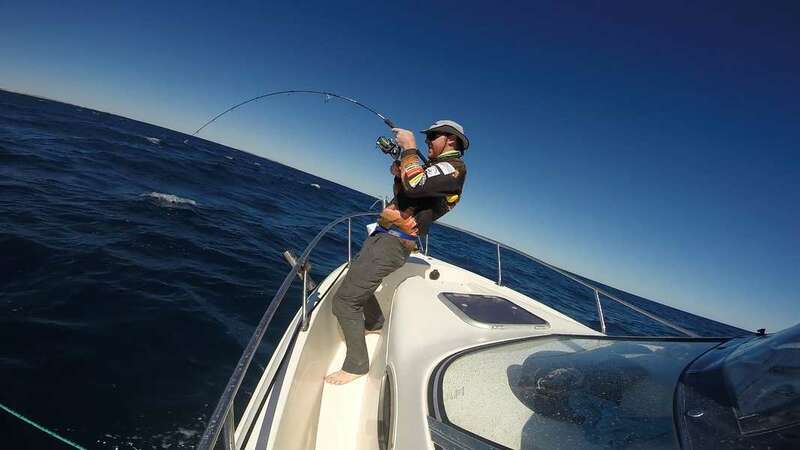 Love the pic putting the hurt on the fish up on the bow.